Percy Bysshe Shelley, a poet best known for his Romantic Era poetry, crafted a fourteen line poem titled Ozymandias. He was describing a statue, falling to ruins in an Egyptian desert. Although he never mentions the ruler by name in the context of the poem, he is describing Egyptian pharaoh Ramses II. Ozymandias is the Greek translation of Ramses name. Who was Ramses II? Does his story still live on today, even as his statue lies in ruin somewhere? Indeed it does and we need look no further than the Bible to meet this infamous ruler. Before even beginning to read Shelley’s poem, students should gather some back story about Ramses II. Then, after they have read the poem, they can continue to research this ancient ruler and discuss him in terms of the words Shelley uses to describe his fallen effigy. Students should also be able to infer how Shelley himself felt about this ruler, using text support and imagery and vocabulary from the poem in order to support their ideas. However, before they can truly share significant insight into this ruler, they first have to read and learn more about him. So, before you assign the poem, use the downloadable power point to introduce Ramses II. Then, split students into groups and allow them to research this leader. Encourage them to share and present their research in class to their peers. 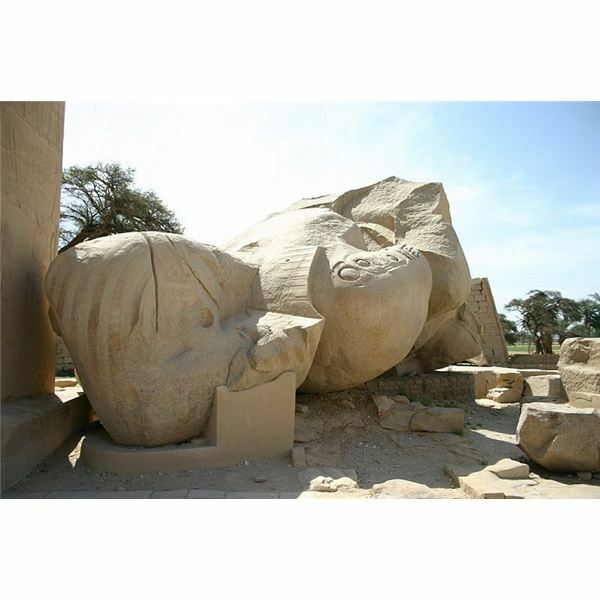 Have a class discussion on the legacy of Ramses II. Then, have students read Shelley’s poem. After reading, assign the writing task on the last slide of the power point presentation. Now, students will have the background needed to write a well analyzed paper on how Shelley’s poem perceives the ruler Ramses II. From ancient Egypt to Romantic Era England, students will see how an ancient culture can inspire a poet centuries later. Teach several lessons on the poem by Percy Bysshe Shelley.